Rachel is dressing her little girls as ladybugs this Halloween and asked for some suggestions on Twitter. Here are some of the ideas I would use for inspiration for a DIY ladybug costume. 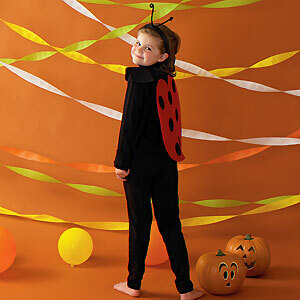 Taste of Home has a template and tutorial for an easy lady bug costume. 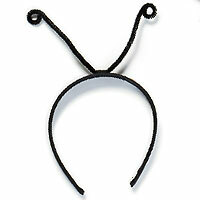 The wings are a great starting place, and so are their antenna. 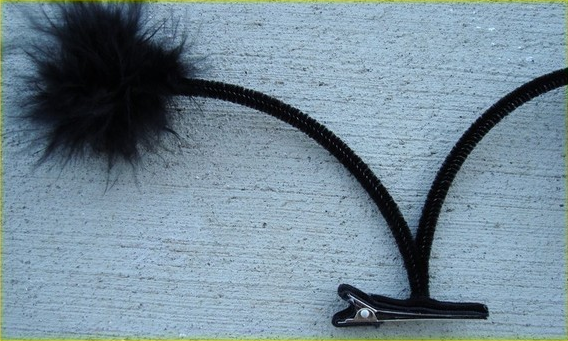 They use chenille stems (pipe cleaners), like these from Victoria Elizabeth QOC (who sells a DIY lady bug antanea kit) but I love the addition of the fuzzy pom pom and the clip (which might work better for younger lady bugs). If you want a sheer wing, my favorite tutorial is from Martha and if you are looking to buy a cute set, Bugs and Blooms has my favorite. I love the flower in the middle. 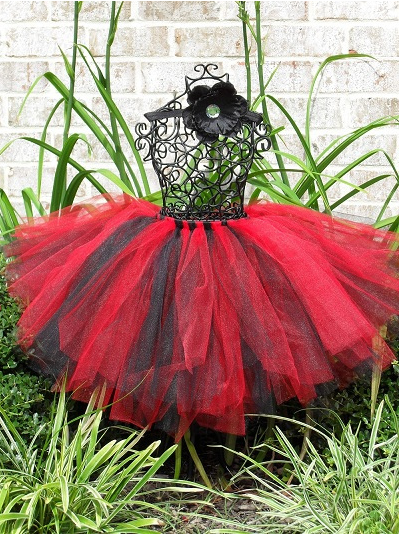 And the ladybug is all about the cute tutu. Dee Dee & Me sold this beauty last year for Halloween. Hopefully she will list more on her site this year. I love how she layered the red over the black and then added felt polkadots. 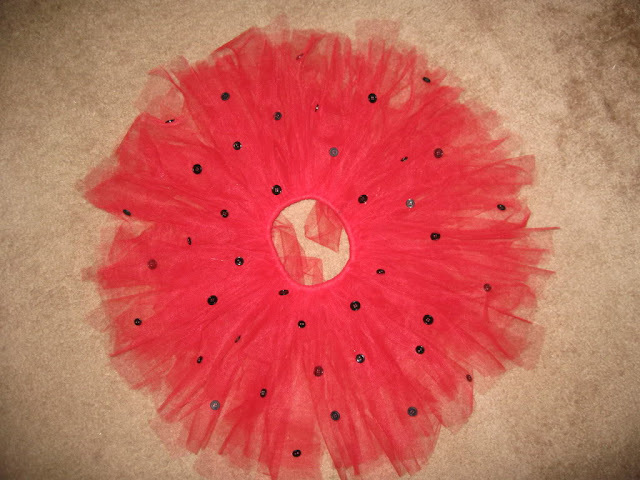 TeiraandTeagan used black buttons for the dots that she hot glued on to the tulle, but I think giant sequins would be fun. 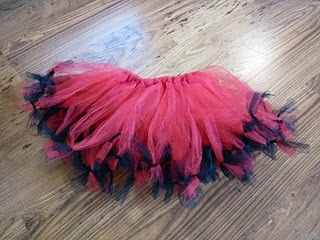 And although I just use a piece of elastic whenever I make my tule tutus, My Frugal Family has a great tutorial for this gorgeous waistband. 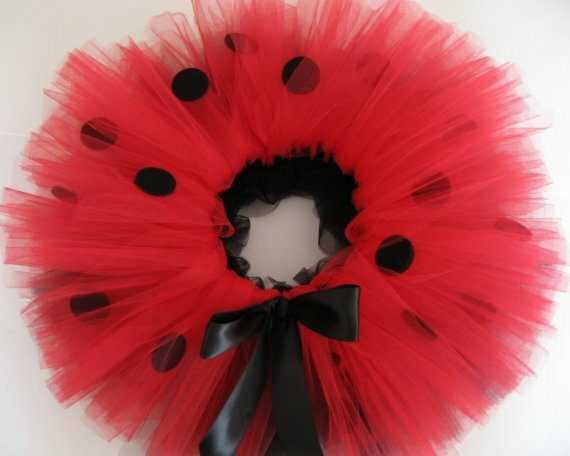 Some black tights and a few more polkadots and you should have yourself a super cute lady bug costume. 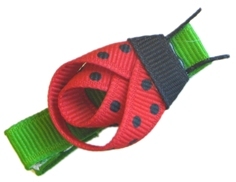 If your little one has been a ladybug before and you have a great post about it, please add a link to the comments or shoot me an email and I will add it to this post! Thank you so much for all of the great ideas! !